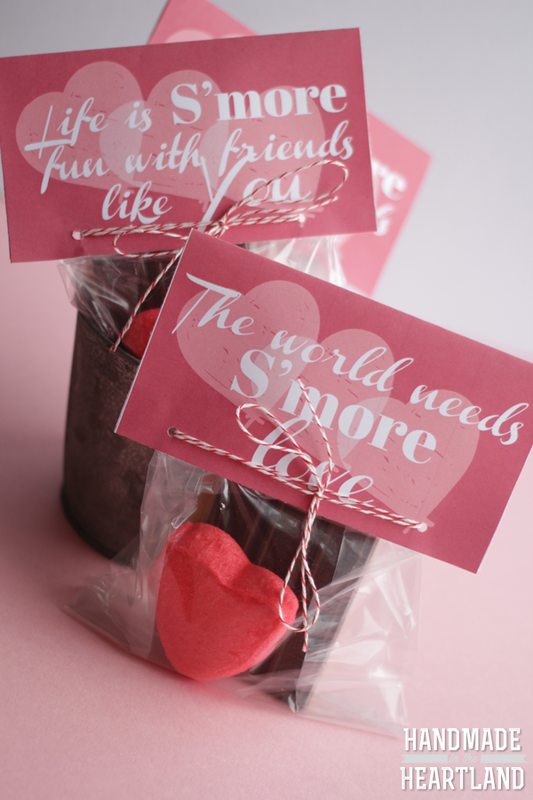 I love Valentines day and the opportunity to show friends and family a little extra love and maybe share a few treats. Â I seriously can’t wait for my kids to be in school so i can be the room mom in charge of the school valentines party. 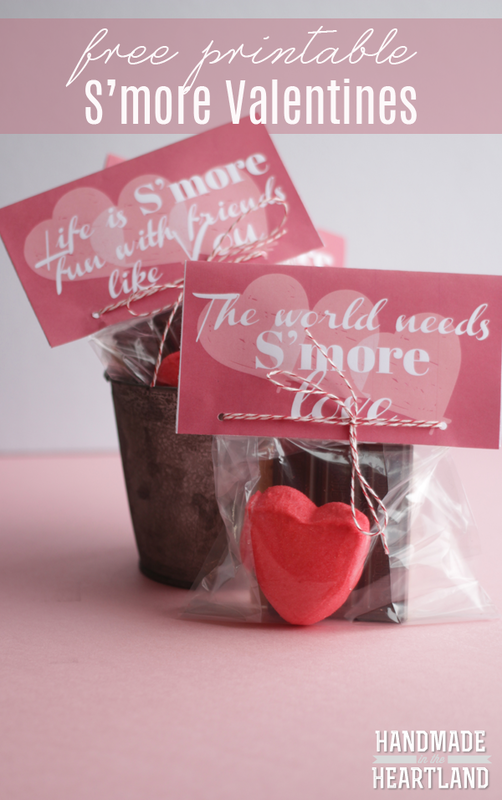 ðŸ™‚ Â I was looking around the pinterest world at different valentine ideas and loved the thought of a s’more, so i designed this free printable for you with 2 different s’more options. 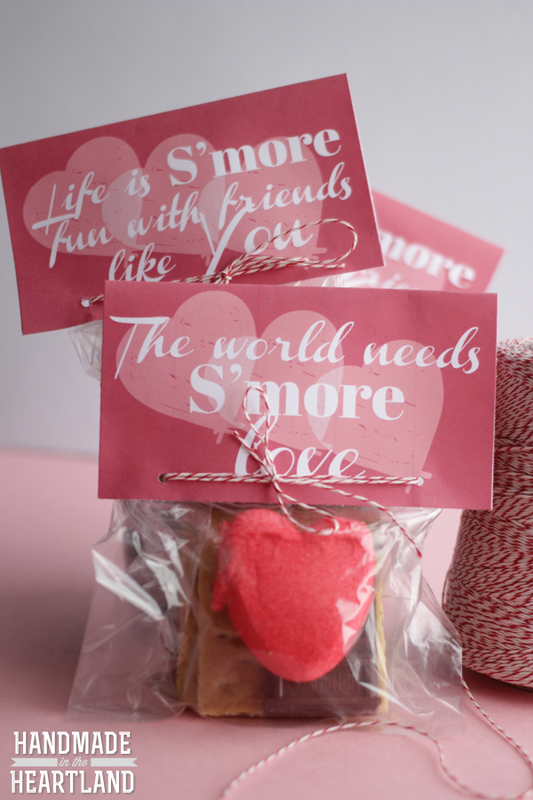 You can download it for free HEREÂ and make your own s’more valentines! 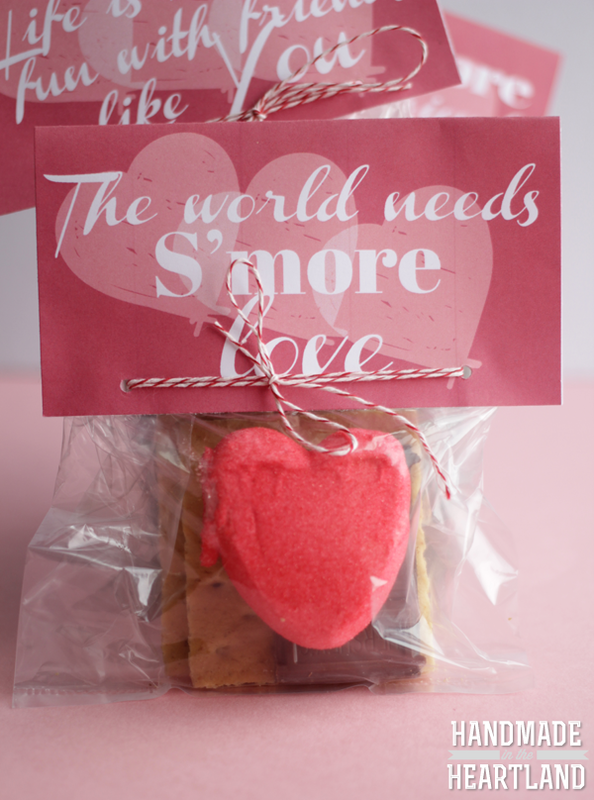 To put it together just run to your grocery store and grab a few hershey’s bars, graham crackers and the key ingredient- valentine peeps, you’ll also need cellophane bags, bakers twine, a whole punch and double stick tape. I love the valentine peeps because they are a cute heart shape and perfect to go into a s’more, so fun, right?! Print the top portion out on heavier paper and cut it out. Â I used double stick tape to attach the bags to the label and then punched a whole on either side and looped bakers twine through and then tied a bow. What is your favorite part of valentines day? 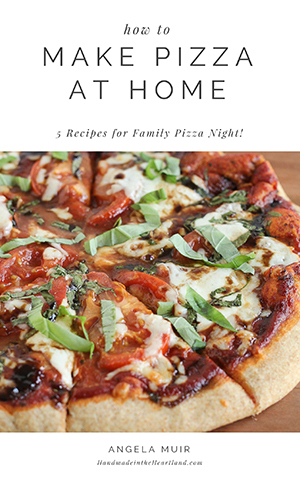 do you have any traditions with your spouse, kids or friends? I’d love to hear in the comments!